I can totally relate to that feeling of just wanting to dance. But, is the family gathering on vacation really the appropriate time to sport your short jean cut-offs, take off your shirt, and show 'em how to feel the beat? 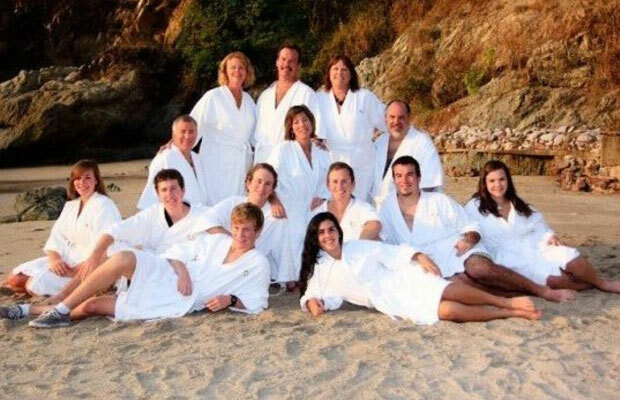 I'm a big a fan of hotel robes, especially the soft ones from the spa – but that doesn't mean I think it's a good idea to do a family photo shoot with them on. And why are the guys still wearing their oh-so fashionable Keds with socks while in their robes? He's got high hopes, but you can't rag on him for dreaming big. It took me a few times of looking at this photo to figure out what was going on. 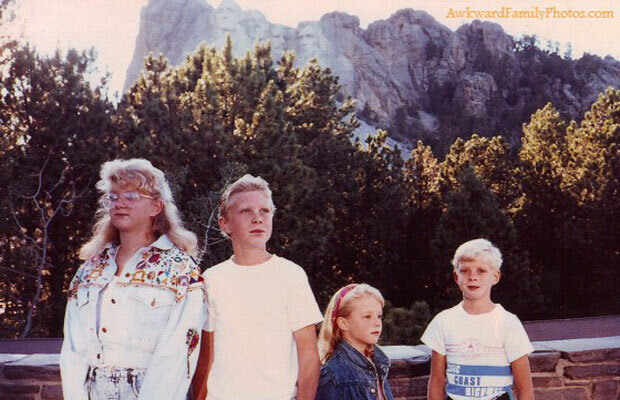 This is one of the weirdest posed pictures I've seen in a while – if anything mom and dad should have taken this photo with Rushmore in clearer focus. Then again, I'm pretty sure it'd still be awkward. 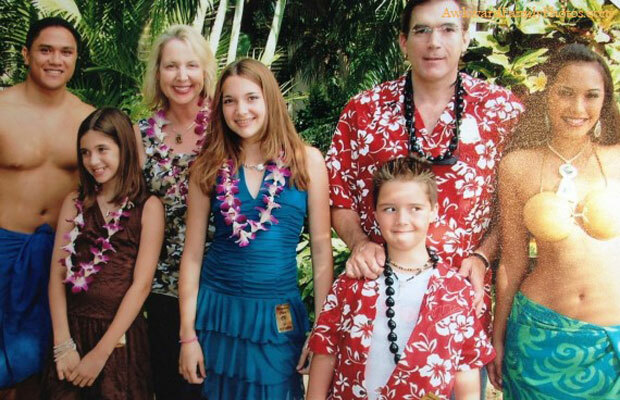 The Smith family saw an ideal family photo opportunity while on vacation. 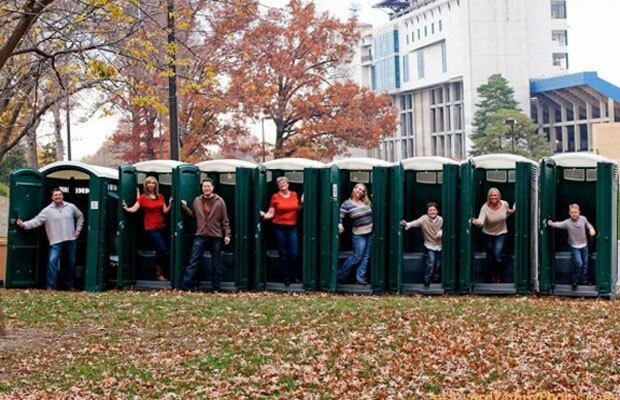 I wonder how many photos they posed for with the Porta Potties making cameos.